McDowall has become one of the hottest suburbs in Brisbane thanks to its quality school, easy access to transport and nearby amenities, there is solid capital growth on the horizon for any savvy investor. > The light filled Master Bedroom features carpet flooring, ceiling fan, built-in wardrobe, roll-down blinds and security screens. > Bedrooms two & three both feature carpet flooring, ceiling fan, built-in wardrobes, roll-down blinds and security screens. > The home’s bathroom is located upstairs and features a shower over bath and single vanity with mirrored cabinet. > The home’s large combined Lounge and dining room features carpet flooring, security screens, curtains and access to the undercover entertainment area and back yard via glass sliding doors. > The covered entertainment area offers the perfect place to sit back and relax while watching the children play in the secure back yard. With its cool and private position this space is perfect for enjoying those warm summer days and entertaining both friends and family. 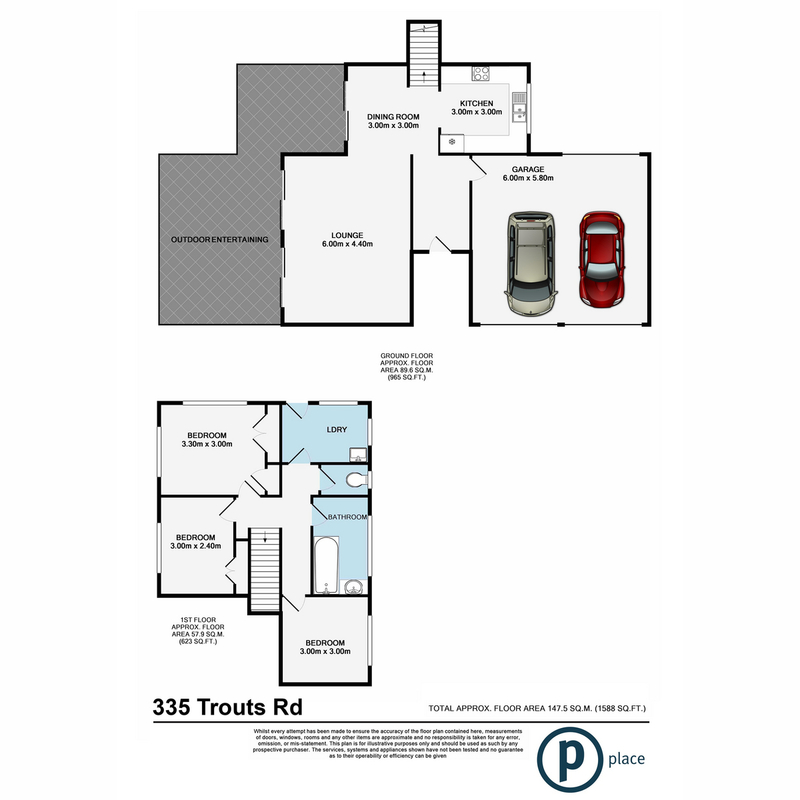 – Double garage features a remote garage door, drive-through access to hardtop parking out the back plus internal access. With this homes location, aspect and long list of features it will not be available long so don’t miss your opportunity to inspect this truly beautiful residence while you can. So call today and arrange a private inspection or make sure you pencil in the first weekend’s open homes as a stately residence of this calibre will not be overlooked by the astute buyer.